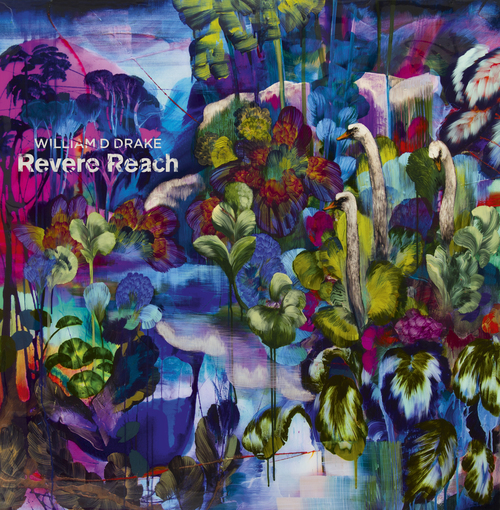 Ayfer Simms finds much to love about William D.Drakes‘ latest musical tableau Revere Reach. The object piercing the thin fabric of time and matter, high above the sky, is a musical arrow, one that has managed to travel all the way from medieval/renaissance times; William D. Drake’s tunes have landed in our world, catching in their descent our moods and our dreams, perhaps our fantasies too. This is the music of the ancient men tiptoeing through a wild forest uneasy of the wolf, and the sound of old kings and queens giggling in the corner of a castle; as it touches our asphalt it becomes the music of the ‘urban-er’ walking through the modern jungle marching to the office (with the same fear of the wolf, a different kind). A musical play, a folklore concert or perhaps an old costume show in a trendy but timid quarter of town. Why not go to a sultry vintage jazzy soirée for a few minutes? Everyone there is dressed in shirts from the 18th century. Strolling with William D. Drake is like being the main character in a Tim Burton movie. While the chloral’s chants elevate the feet to the heart level, the head is light with uncontrolled images from the depth of our memory and subconscious. William D. Drake is the one who shot the arrow to the sky and, like a boomerang it comes back charged with a musical static energy of past times: The traveler won’t mind stopping at the tavern and plunging himself in the heartwarming dizzying effect of the local folklore songs and rhythm. And then the funny man, the echoing bliss made up of a thousand instruments, pianos, drums, and flutes? Vocals are grand, a perfect story telling talent ludicrous and poetic words flying around the tunes like a little colony of bees around honey. I flung myself to catch the flight of the arrow, to stay on that trip, one toward the past, the future, one of fantastical characters. What William did is not merely reproducing sounds from an old Époque, out of taste or ethereal inspiration; he brought some dramatis personae alive from other times teaching them our gracious colors. And they sing and shine under a misty sound, filled with passion, and they gaze but they cannot see, us, they are ghost, vividly living through the power of their voices and melodies. “London bridge is falling down” songs to become something else.